Atia is a business owner, mother of three, globetrotter, mentor and a true creative spirit. 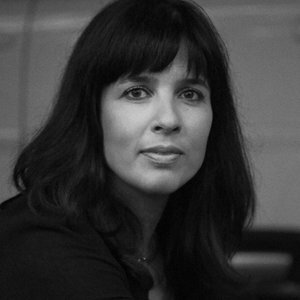 With over 20 years of experience as the Founding Partner and Creative Director of Paper Stone Scissors, Atia works with both international and local clients to create award-winning work. Using the power of storytelling, she works together with her clients to create greater brand equity and build brands that are desired. Atia comes armed with a detailed understanding of their needs, cross-cultural and social knowledge and consumer psychology, and her views on the industry have been published in various magazines, books and online mediums. Atia’s interest lies in facilitating communication beyond borders, which culminated in her initiating the expansion of the agency to China. Since the agency’s inception, the team has grown from an initial 3 staff to over 40 working across both the Melbourne and Shanghai studios. This entrepreneurial spirit has driven her accomplishments in combining business with design. The mentoring and advising of youth is a strong passion of Atia's, having participated in many career advice programs. She has been a guest speaker, awards judge and design mentor for a variety of design associations and educational institutes and is currently on the advisory board of Tractor Design and Digital School. In 2016, she created an incubation program, YourTurn, which has become widely known across Australia and focuses on the positive and structured development of interns at Paper Stone Scissors. Atia believes that individuals who think creatively are always the ones that gain a competitive edge in life, no matter what the area, and that an awareness and appreciation of this quality is key. This thought led to the creation of 'Now&Them', a non-profit platform encouraging creativity and collaboration within China and beyond, which also delivers a positive social impact to the less fortunate. She believes that everything tastes better with a spoonful of chilli. Articulating ideas, bringing them to life and appreciating the people surrounding her is fundamental. This colours her days and balances her life.